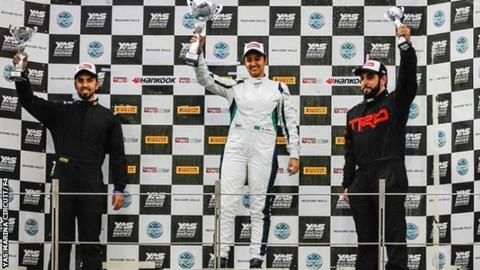 Saudi Arabia's first female racing driver Reema Juffali will make her F4 British Championship debut at Brands Hatch this weekend. She made her competitive racing debut in October 2018 - just months after her country lifted a ban on female drivers. "It's such a great thing for me to do and represent my country," she said. "Brands Hatch is the heart of motorsport," Jeddah-born Juffali added. "It's going to be a tough year in such a competitive championship, but I'm ready for the challenge," she said.